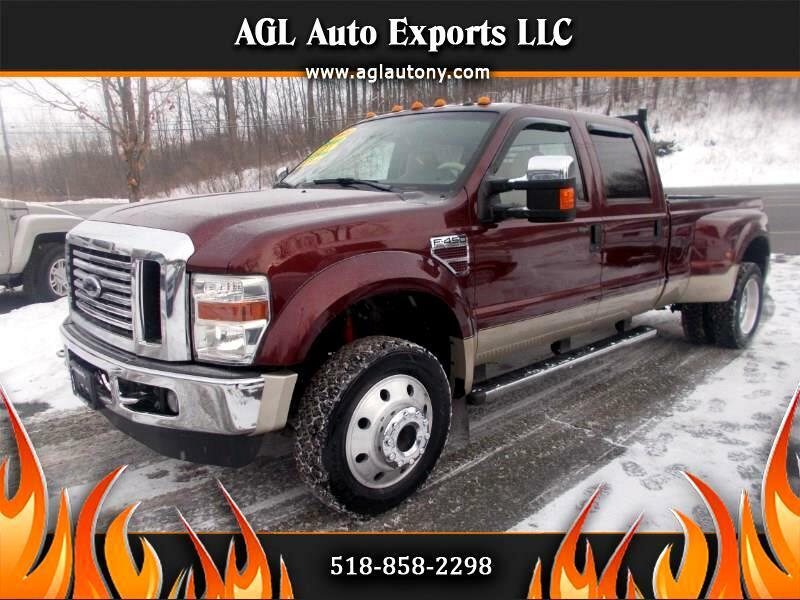 THIS RARE FORD F450 SUPER DUTY LARIAT FX4-OFF ROAD 4X4 IS RUST FREE SPOTLESS IN AND OUT !! SUNROOF, PARK ASSIST , LEATHER POWER HEATED FRONT SEATS , BLU-TOOTH-NAVIGATION-BACK UP CAMERA -SAT RADIO - AUX , LARIAT BADGES , RHINO LINER , 2 TONE PAINT , POWER REAR SLIDING GLASS WINDOW THIS TRUCK IS FOR REAL 2 OWNER GARAGE KEPT DONT LOOSE THIS AFFORDABLE WORK HORSE RARE FIND !!!!! FRONT VALANCE -NAVIGATION -AUX-SAT-ONBOARD COMPUTER-6 DISC CD -MP3- XENON HEAD LAMPS - SPORT STEERING WHEEL WITH TIPTRONIC PADDLES - BLU-TOOTH- THIS CAR HAS IT ALL FUN AND AFFORDABLE !!!! Message: Thought you might be interested in this 2009 Ford Super Duty F-450 DRW.